It is important to train the new guy! If you hire someone young who has just stepped out of college, you might want to train them. These are rookies who have not had professional experience; therefore they are bound to make mistakes. And mistakes are good because you learn from them but prevention is better than cure, they say. This is fairly common among recent graduates that they lack the confidence to speak their minds and share ideas. Since they do not have a lot of experience with things, they hesitate to speak in front of executives and as a result a very good idea that can help the company may go unheard. Training can be like a welcome party for them where they get comfortable. If you find an individual lacking in confidence, you can work on them with few confidence boosting exercises during training. A new recruit does not know how things are done in your organization. They may not know that some things are frowned upon in the company. Not everyone has the sense of dressing to know what to wear at a business meeting and what to wear on a Friday. If you are company with standards to be followed during work hours, it might be favorable to train them and acquaint them with the standards. This way they will know in advance the culture of the organization and it will spare them from making any embarrassing mistake. Time management is a key to succeeding at almost every job and new recruits generally lack this skill unless it is innate in them. They can be overwhelmed with the responsibilities. Remember professional workspace is different than doing assignments for a class. They need to understand how to prioritize tasks at hand and this can only be achieved through training. Now this is something that they learn in college but who is to say they actually learned something from group projects and presentations? Now they work for you and it is important to you that they are good team players. Some newbies would find working within a team difficult. There can be many reasons for this. However, this problem is reasonable enough to train them a bit about team work. At the start of their work or may be start of some project, give them adequate training about teamwork skills. You can find a lot of activities online that will help in your training regime. 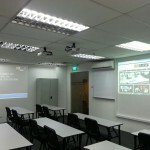 If you are a trainer who needs good classroom and seminar room rental spaces, contact us for a non-obligatory viewing at TrainingRoomSG.com. We are confident you will like our spaces. This entry was posted in General on June 14, 2016 by .